Stem cell therapy and platelet-rich plasma (PRP) help repair damaged musculoskeletal tissues and relieve joint pain by regenerating healthy, new tissues. 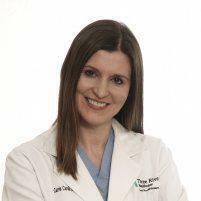 Dr. Carrie Carda effectively uses these innovative treatments to help her patients heal and regain optimal function. To learn more about stem cell and PRP injections, call her practice, Women’s Health Specialists in Poplar Bluff, Missouri, or use the online booking feature to schedule an appointment. Your blood consists of red blood cells, white blood cells, plasma (the liquid part), and platelets. Platelets contain numerous proteins called growth factors, which stimulate healing of damaged tissues by promoting the growth of new blood vessels and tissues. PRP is plasma with a higher concentration of platelets than the amount normally found in blood. It’s made from your own blood, which is drawn and centrifuged to separate the different components. Then only the platelets are remixed with a small portion of plasma to create a PRP injection. As long as stem cells are alive, they have the unique ability to continuously divide and replicate to grow new tissues. Embryonic stem cells can develop into any type of tissue in the body, while adult stem cells are more specialized. Adult stem cells regenerate the tissue where they reside. For example, adult stem cells in muscles only grow muscle tissue, so each tissue in your body has its own stem cells. These stem cells keep you healthy throughout your life by growing new tissues to replace old and damaged tissues. With today’s advanced medicine, stem cells can be harvested from a variety of sources, including bone marrow, amniotic fluid, and your own body. Since stem cells are a blank slate, they can be obtained from various sources and safely used to promote healing. Prolotherapy refers to an injection of substances that stimulate the body’s natural healing response. While each injection is customized for the patient’s needs, it generally contains a local anesthetic like lidocaine mixed with natural substances such as dextrose (sugar) and saline (salt water). Components like dextrose and saline trigger a mild inflammatory response, which in turn activates healing. PRP and stem cells can also be included in a prolotherapy injection. What health conditions are treated with PRP, stem cells, and prolotherapy? PRP, stems cells, and prolotherapy can be used individually, but they’re often combined for optimal results. They’re all injected directly into damaged tissues, where they stimulate new tissue growth and relieve musculoskeletal and joint pain.